I'm working on the new webshop so my friend Nadine came over to model some of my pieces and to my surprise she came with a total new look. 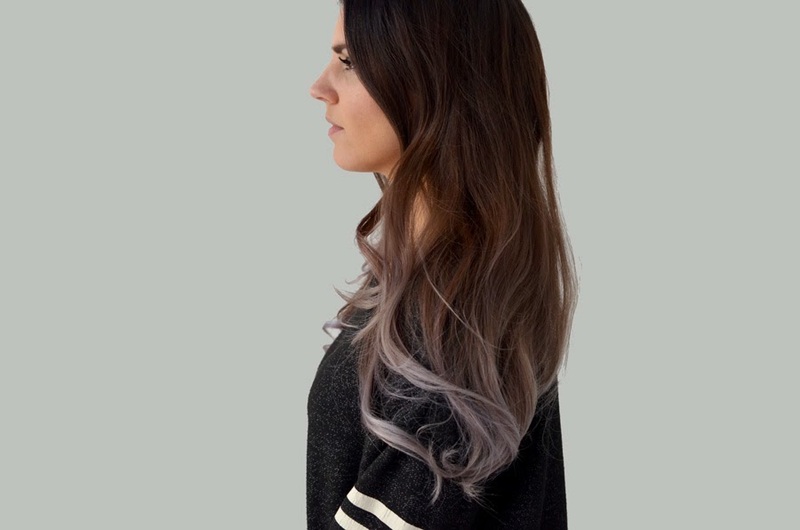 Not your typical hair dye but an edgy ombre look with grey silver ends. Love it! I'm always playing it safe with my hair, natural colors and all no major changes, but this time I went for something different. It didn't turned out as expected but to my surprise I'm in love with the results. 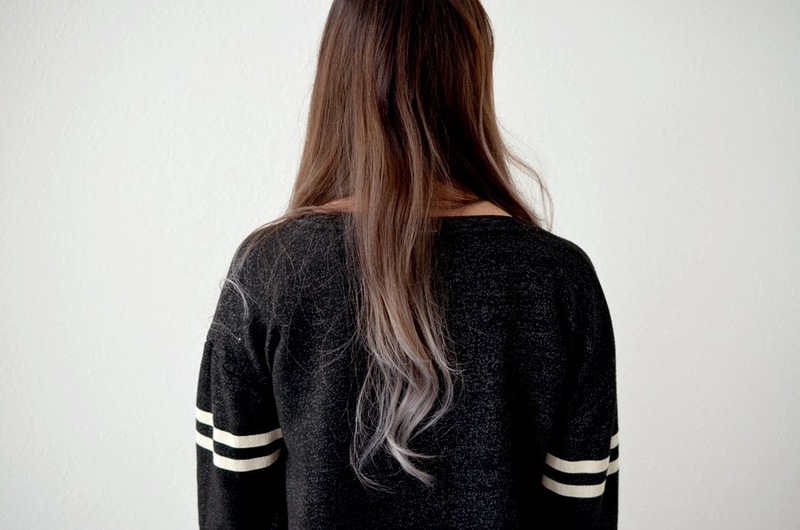 Last spring I decided to dye my hair dip dye style. Naturally, I'm a brunette and I've been coloring my hair blonde since 5 years. Due to all of the coloring, and the length of my hair; the blonde in the ends of my hair became brighter and brighter. I really liked the colour, and all summer I wore my hair curly or straight, a bit beachy with a lot of different shades of blonde. During fall, I was having second thoughts about my blonde hair. I have been a blonde for such a long time and I wanted to make a drastic change.... I gave it a lot of thoughts and... I would really love to have Ashy Brown hair.So I went to my hairdresser and told her about my idea. She loved it so she picked out the right shade of brown color in a real ashy tone and told me that the light blonde in the ends might turn out to be a little bit lighter, but it would definitely be ashy Brown...After washing out the paint, the bright ends turned in to bright purple...oops small mistake, but after a few more it turned in a lilac/grey tone at the ends of my hair almost silver.. I think it turned out better then I could ever imagine. What are your thoughts would you try it? This is so cool! Wanna try it out myself! I love it! 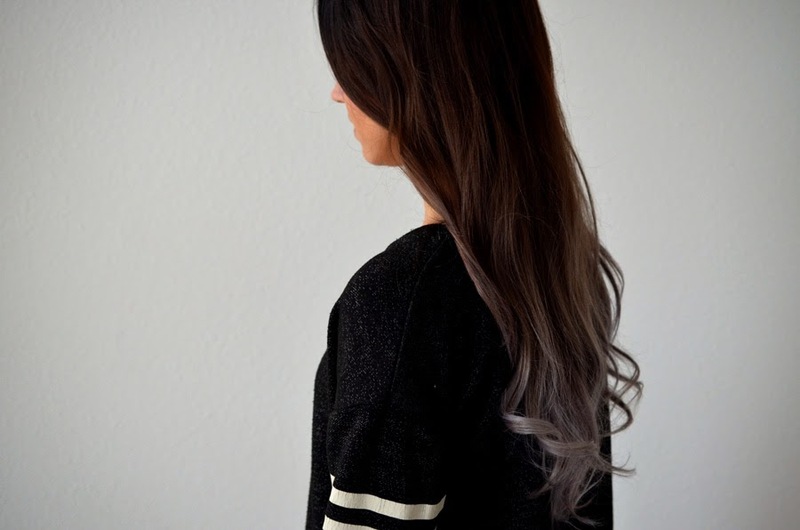 I'm thinking of doing this to my hair :) Thanks for the inspiration.